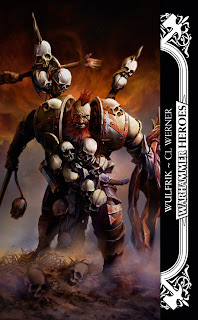 Lord of the Night reviews the fearsome Warhammer Heroes novel Wulfrik by C.L Werner. This is the first Warhammer Heroes novel I have read, nothing against Chris Wraight but I wasn’t interested in Sword of Justice because im not really interested in the Empire. However the northmen and their adventures are definitely interesting to me and it was that, and my favourite fantasy author penning it, that convinced me to buy Wulfrik. Wulfrik Worldwalker is the champion of the Dark Gods, cursed to wander the world eternally for his arrogant claim that he is the equal of any warrior in this life or the next. But when he is offered a chance to escape his eternal torment by a mysterious shaman his hope for freedom spurs him to action. Though dark forces plot to destroy Wulfrik and his legendary ship the Seafang, Wulfrik must face challenges like never before if he is too free himself, but with treachery facing him on all sides, perhaps the champion of the Dark Gods has met his match. The primary character of this story is, of course, Wulfrik Worldwalker and C.L Werner has taken a mighty Chaos character and shown us just how the eternal wanderer views the world around him. Rather than revel in what many would consider to be a gift, Wulfrik despises his curse and wishes to be rid of it, that he may rule his own kingdom and sire his own heirs with the woman he loves. This makes for a very interesting character which only grows as Wulfrik travels throughout the novel, and we learn much more about this lonely champion than a codex could ever say. Secondary characters include the crew of the Seafang which though many nameless characters fill the ranks some memorable characters are there, the mutated scout Jokull, the shifty thief Haukr, the bloodthirsty Njarvord and the wise Sigvatr, mentor to Wulfrik. Others outside of the crew are quite important to the story, such as the treacherous king Viglundr, his daughter Hjordis, the love of Wulfrik’s life, and the Aesling prince Sveinbjorn. Seeing how Wulfrik interacts with these characters is quite pivotal to this grim tale. The pacing of the story is great, never was the story rushed or slowed but my attention was focused squarely on what was happening, either in visceral action or surprising plot-twists I was stuck into the book and was able to keep up the reading without putting it down. The novel ends on a harsh but affirming note. It was sad to see what Wulfrik did at the end but good that he realized that those he always considered to be his enemies, are in fact his closest allies. I give Wulfrik an 8.5/10, this is not a story to be missed. From cold betrayals, laughs from the Norscan banter, and the scheming of the Chaos Gods, Wulfrik is a brilliant story and character and perhaps we may see him again in the future. Should you buy this book?. If your a Chaos fan then the answer is obvious, but for those who are unsure then I say yes. 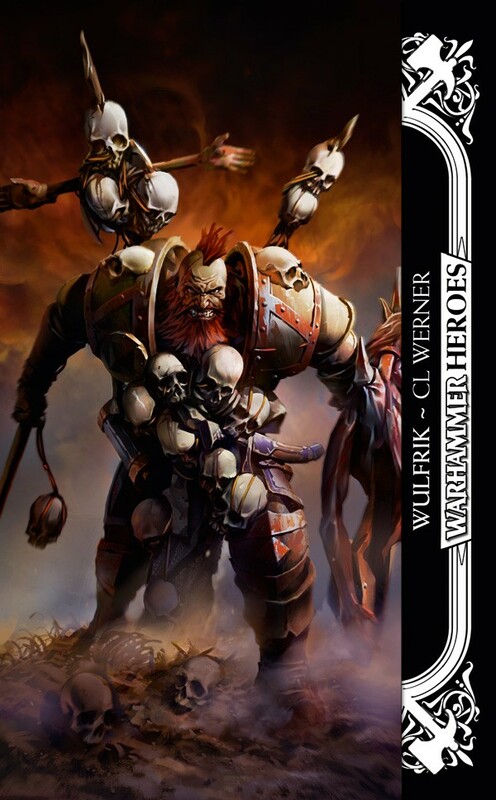 This is a great book, a fine addition to the Warhammer Heroes line and another notch for C.L Werner’s victory tally. I think my favourite thing in this whole book is how Wulfrik — in the fluff — has a way of challenging the leader to single combat. In the book this actually takes the form of rather fantastically inventive insults aimed at the opposing champion, one even being a ‘yo mama’ joke! Wulfrik – All around badass and consummate smack talker of the Warhammer world.